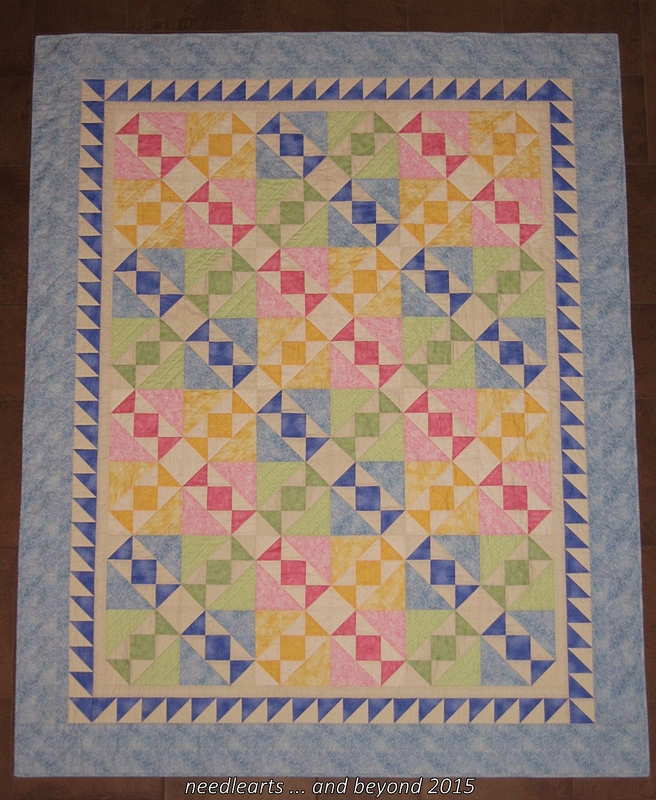 Salt Water Taffy Quilt – Complete!! 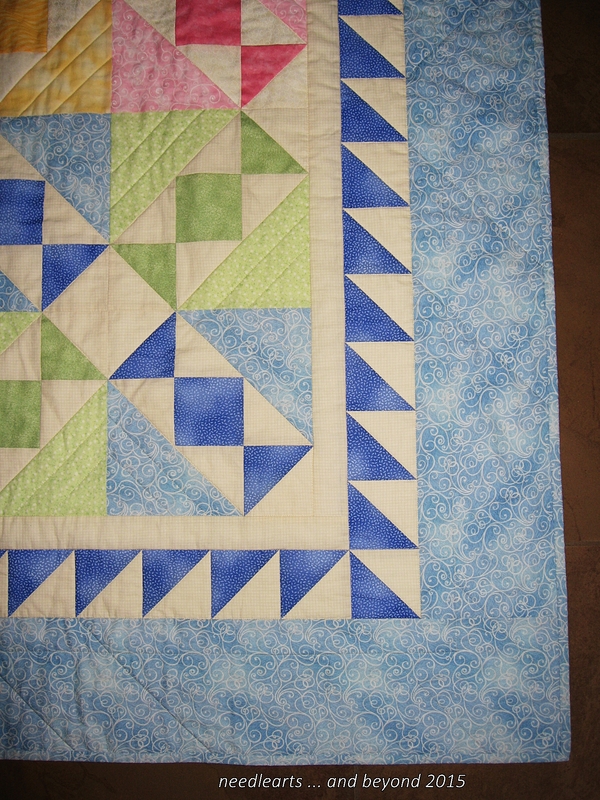 I finished my Salt Water Taffy Quilt yesterday, I was hoping to finish before the end of February. As usual, I love my new finish!! I did a lot of stitching in the ditch (or next to the ditch). Some of the intersections were extremely bulky and the machine (Elna 7300) created a few little nests on the back — I didn’t realize that was happening. I took out those areas and re-stitched. Whether it was caused by the settings or if the machine just can’t handle the thickness, I don’t know. The restitch was done on my older Elna 6003 with the walking foot and it did not struggle at all. 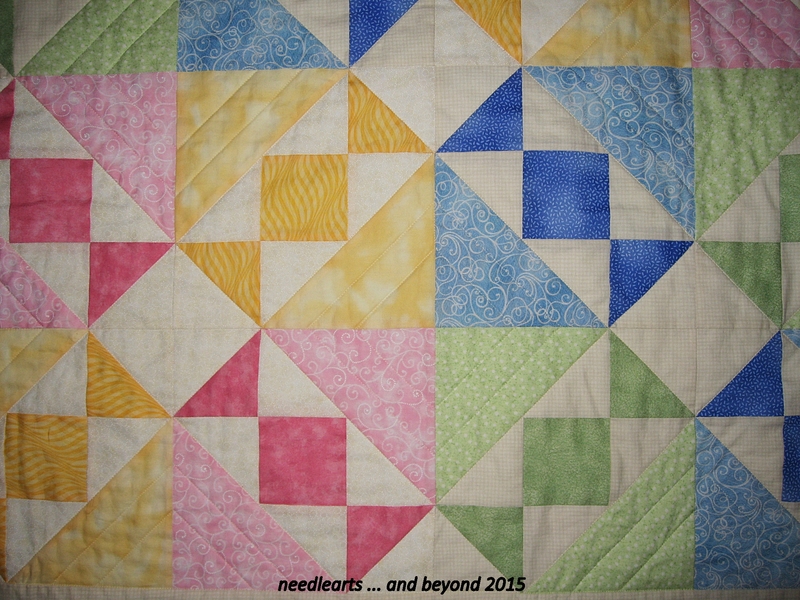 There were plenty of stops and starts to get the quilted squares into the section where the four color triangles come together…. I secured them with tiny stitches and then buried the ends by hand. This picture shows the backing. I pre-wash / pre-rise almost all of my quilting fabrics. The elephant fabric is one of my favorites and I bought the bolt. Good thing — shrinkage was about 9%. The width, including selvages went from 43″ to 39″. 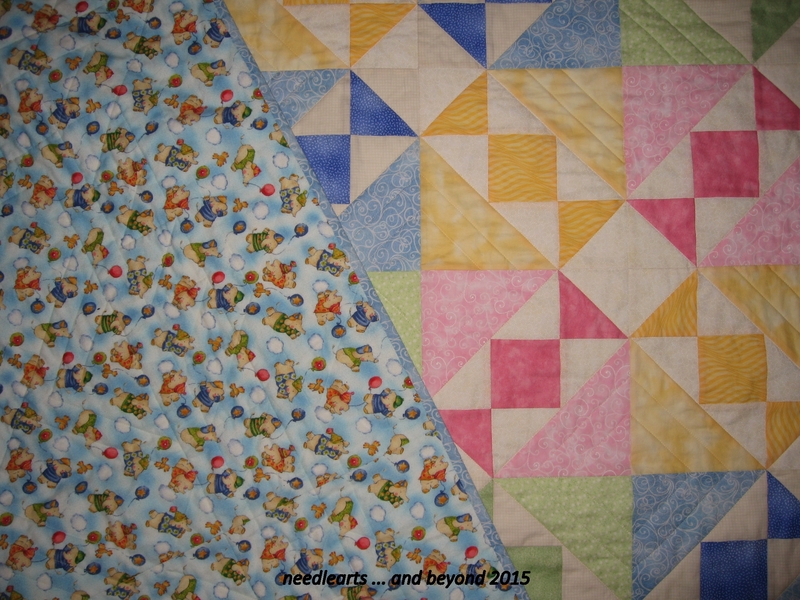 This entry was posted in quilting and tagged quilt, quilting, salt water taffy quilt. Bookmark the permalink.